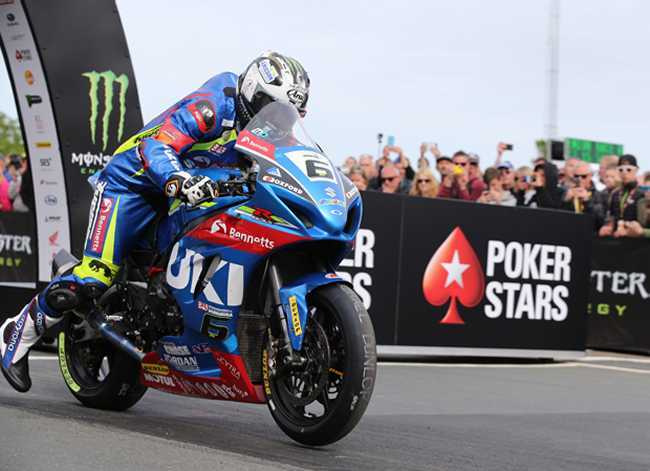 The race was restarted over four laps after the original race was red flagged on the second lap due to an incident involving 16-time TT winner Ian Hutchinson at the 27th Milestone. The Tyco BMW rider was conscious but was taken to hospital by airmed where it was later confirmed that he had suffered a fractured femur. The race had been shaping up to be an epic with just 0.18s between Hickman and Hutchinson and Harrison only 1.2s further back in third but, eventually getting underway at 5.15pm, Dunlop led the restarted race through Glen Helen on the opening lap, with a 1.5s advantage over Bruce Anstey. Harrison was a further 0.9s back in third with Hickman, Michael Rutter and James Hillier completing the top six, the last two getting a second bite of the cherry having experienced problems in the first start. Dunlop increased his lead through Ramsey slightly to 2s but Hickman was up to second ahead of Anstey who in turn held a 0.2s advantage over Harrison with Rutter still in fifth but with Conor Cummins now up to sixth at the expense of Hillier. Dunlop added a further second to his lead by the time he reached the Bungalow and an opening lap speed of 132.292mph gave him a 4.2s lead over Hickman who in turn was 3.2s clear of Anstey. Harrison, Rutter and Cummins were holding station in fourth to sixth but Josh Brookes was on the move, going from 12th at Ramsey to eighth at the Grandstand. At Glen Helen on lap 2 Dunlop had increased his lead by two more seconds and Harrison was now up to third with Anstey dropping back to fourth despite leading on the road and having a clear track. Rutter was still fifth but Hillier had moved back ahead of Cummins for sixth. By Ramsey, Dunlop was still leading by 6s as him and Hickman practically matched each other every mile. Harrison was losing a bit of time in third but he was pulling away from Anstey who was extending his advantage over Rutter. Hillier was still sixth but just 2.4s covered him, Cummins and Brookes. Coming into the pits at the end of the lap and Dunlop’s lead was now 9.2s after lapping at 132.903mph with Hickman in second and Harrison third, the latter having lapped at 131.838mph. Anstey was out though at Bedstead with the top six now completed by Rutter, Hillier and Cummins. 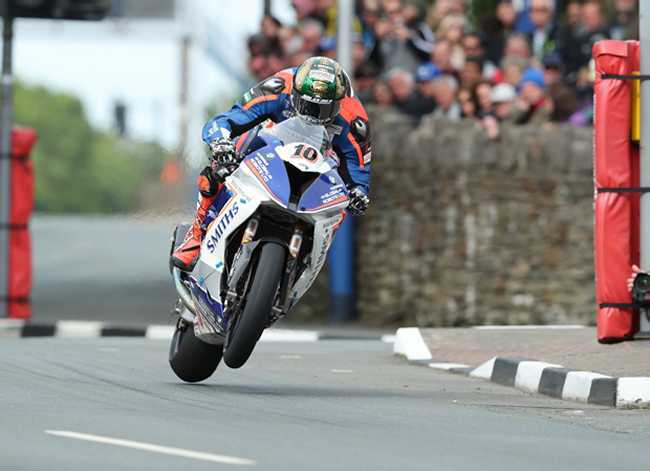 Brookes was up to seventh having done his first 130mph+ lap around the Mountain Course at 130.551mph. The lead was down slightly at Glen Helen on lap three to 7.7s as Hillier took over fourth from Rutter with Brookes moving up to sixth and by Ballaugh, Hickman had reduced the deficit to Dunlop further to 7.3s. However, through Ramsey for the third time and the Northern Irishman had got the gap back up to 8.5s. Indeed, going into the fourth and final lap, the 28-year old was 10.6s clear of Hickman and he duly came home for his 15th TT win, his eventual winning margin being 13.3s. Hickman made it five podiums from five starts with Harrison repeating his third place finish from Sunday’s RST Superbike race, aided by his first ever 132mph lap on lap four. Hillier and Rutter ended their strong weeks in fourth and fifth, the gap between the duo just 0.64s at the chequered flag. 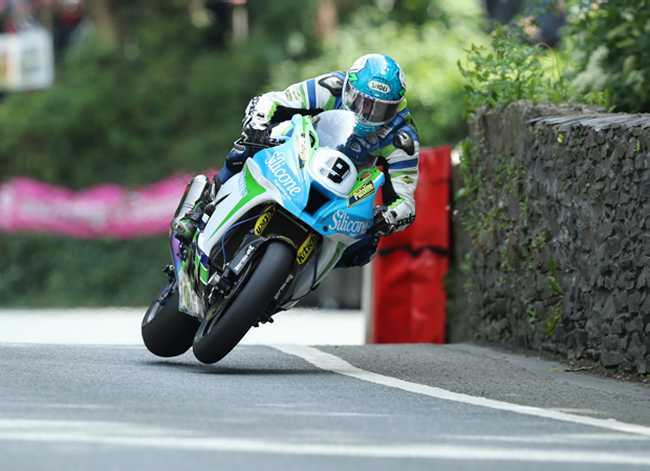 The results meant that Hickman won the Joey Dunlop Championship with 76 points based on cumulative results from the RST Superbike, Monster Energy Supersport, RL360 Quantum Superstock and PokerStars Senior TT Races with Hutchinson second (61) and Dunlop third (60). Jamie Coward was the first privateer home in an excellent 11th place with Daley Mathison next home in 13th but Horst Saiger’s 18th saw him clinch the TT Privateer’s Championship. He finished with 71 points with Coward in second on 63.